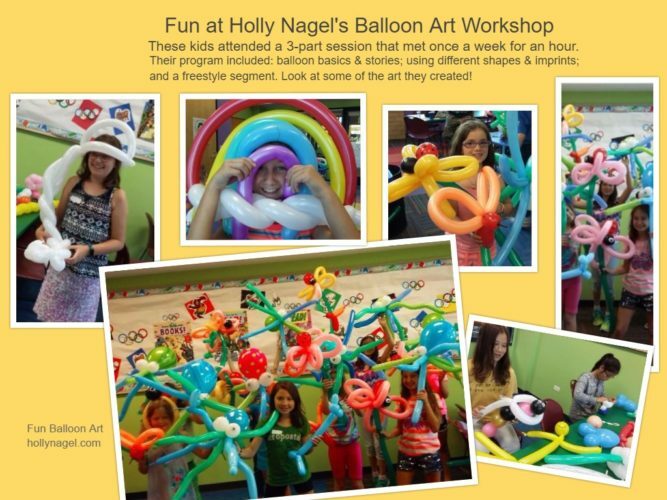 Workshops are flexible, just like balloons! They can be any duration and much can be experienced. Whether it’s learning basics in one session, or learning much over several sessions. Workshops are also great for TEAM BUILDING formats! 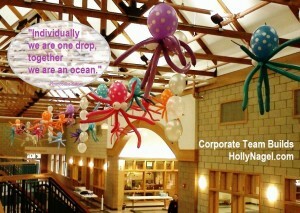 Here a corporate team building session included adults and youth in creating the Octopus’ Under the Sea project.